Join us for South Jersey Arts Fest! Ignite your imagination at this jam-packed weekend of performances, innovative arts exhibits, and immersive workshops for the whole family! 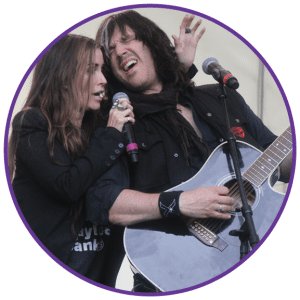 Appel Farm welcomes to the Meadow Stage a musical rainbow of earthy, rootsy, countrified, soul-filled, rockin’ music! 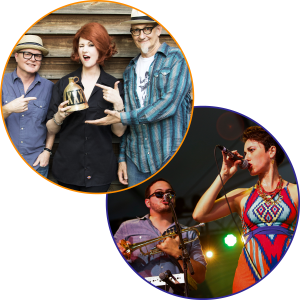 Headliners Southern Culture on the Skids and Gina Chavez are joined by Williams Honor, Hymn for Her, Wallace Brothers, Gooch and the Motion, Ursula Rucker, Hoochi Coochi, and more! Click here to see the full lineup! Celebrate the talent growing in our community with Student Performances by young theatre, music, and dance troupes. Ignite your imagination and participate in interactive Visual Art, Music, Dance, and STEAM Workshops and activities all weekend! Browse and buy from a variety of craftspeople, fine artists and culinary artisans featured at the Crafter and Culinary Artisan Fair with painting, photography, glass art, jewelry, carved wood, leather, metal craft, spices, cut paper, printmaking and more! Enjoy Delicious Fare from gourmet food trucks, craft brews and vintage wine. Patrons are invited to learn the Art of Wine Making at a workshop featuring the winemakers of Auburn Road Vineyard & Winery. Kids age 3-13 can experience the magic of a summer at world-renowned Appel Farm Art Camp at our Arts Camp Pop-Up with visual and performing arts activities, a bounce house, and yard games just for kids! Arts Camp pop-Up is a great place for the kids to ignite their own creativity under the care of camp counselors, while parents check out the selection of vintage wines & craft beers. Click here to learn more about the Arts Camp Pop-Up! Festival attendees can also camp under the stars or rent an entire bunk for the Overnight Experience! Enjoy a campfire, s’mores and an exclusive campfire performance by The Yokels. Click here to get all the campy details! On Sunday morning, intermediate and advanced riders can join the South Jersey Cycling Tour on a 30 mile round trip tour of South Jersey, with Auburn Road Vineyards as their destination. Are you a novice or beginner? A shorter ride is available with a built-in turn around point at the 6 mile mark. Overnight Experience Ticket: $60 Includes a 2-Day Ticket, space for your tent, and an exclusive campfire performance by the Yokels. Relax around the campfire, toast marshmallows, and enjoy an evening under the stars! Private Cabin: $500 Includes 10 2-Day Tickets, overnight accommodations in a modern cabin, and an exclusive campfire performance by the Yokels. Relax around the campfire, toast marshmallows, and enjoy an evening under the stars! 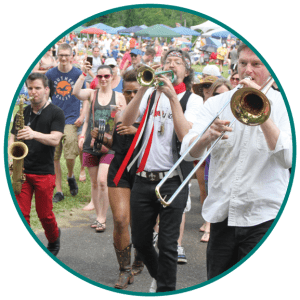 Did you miss South Jersey Arts Fest in 2018? Many friends enjoyed the South Jersey Arts Festival in 2018 by creating art and learning new things in the Visual Arts, Performing Arts and STEAM workshops. The Arts Camp Pop Up was filled with lots of activities just for kids while parents visited other areas of the event including the Art of Winemaking Tent. Special thanks to Auburn Road Vineyards for making the Art of Winemaking Tent a great success. And a heartfelt thank you to all the musicians and dance troupes, and youth performers who helped make the event a weekend to remember! Check out our gallery of photos from the South jersey Arts Fest 2018. If you missed last year’s event, please join our email list to receive information about the 2019 South Jersey Arts Fest! Don’t miss this spectacular family event! We are looking for Food Trucks, Artists, Craftspeople and Culinary Artists to be a part of the 2019 South Jersey Arts Fest! Appel Farm will accept four savory food trucks, one sweet food truck, and one ice cream/water ice truck to participate in our Wine, Beer and Food Garden. The cost to participate is $150 for two days. One food truck will be asked to come early on Sunday to sell breakfast and coffee to overnight attendees. Appel Farm will accept 20 craftspeople and fine artists, and 5 culinary artists to sell their work at Arts Fest. The cost to participate is $75 per vendor. Made possible by funds from the New Jersey State Council on the Arts, a partner agency of the National Endowment for the Arts. Supported in part by a grant from New Jersey Department of State, Division of Travel & Tourism. We are delighted that the following corporations, foundations and government departments are sponsoring the 2018 SJ Arts Fest! There is still time to become a sponsor, email Heather Yelle.